Fewer stats are calculated. 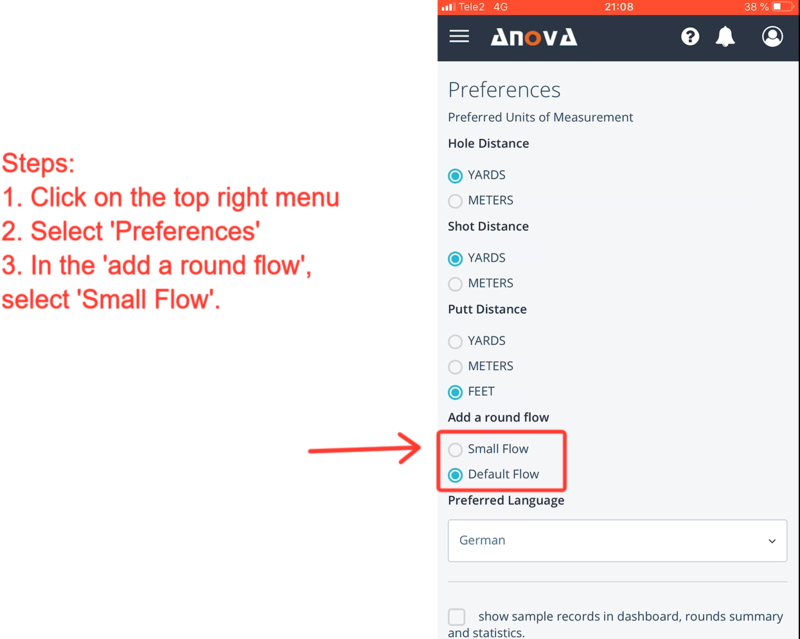 Since you are providing us with fewer data points in the small flow, we are unable to calculate lots of things (such as resulting direction, if you miss your putts high or low, how far you miss the fairway by etc). However, we are still able to calculate hundreds and hundreds of variables for you with the small flow, but please remember that if you are really motivated and want to get the most out of our product, then we suggest that you use the 'default flow'.